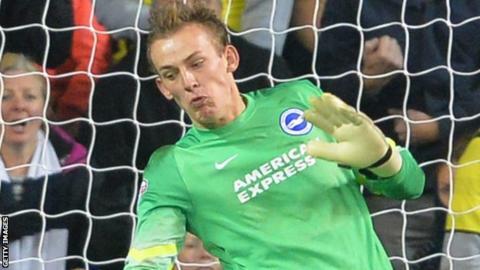 Brighton and Hove Albion goalkeeper Christian Walton has rejoined Plymouth Argyle on loan until January. The 20-year-old England youth international was born in Cornwall and joined Argyle at the age of 10 before being signed by Brighton. He had been on a season-long loan at Bury, but returned to Brighton after getting injured in August. Argyle need cover after first-choice goalkeeper Luke McCormick suffered a groin injury. Reserve goalkeeper James Bittner made his first Football League start in McCormick's place, 4,991 days after first sitting on the bench for a Football League club.